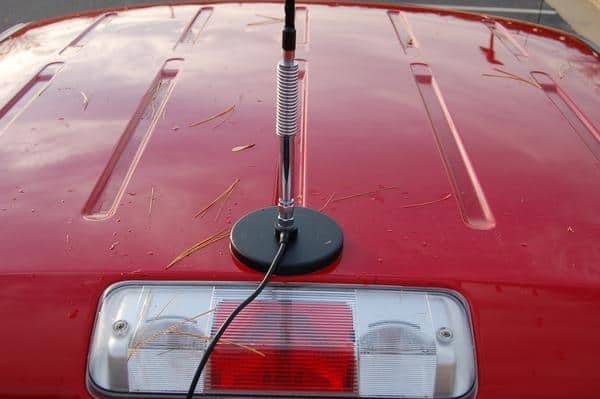 The performance of your CB radio has a lot to do with the CB antenna mounted on it. Yeah, that’s the hard truth. This is why most CB enthusiasts opt for an external antenna. I know you’re also one among that category. Without any doubt, I can tell you that the best external CB antenna one can get is a magnetic CB antenna. 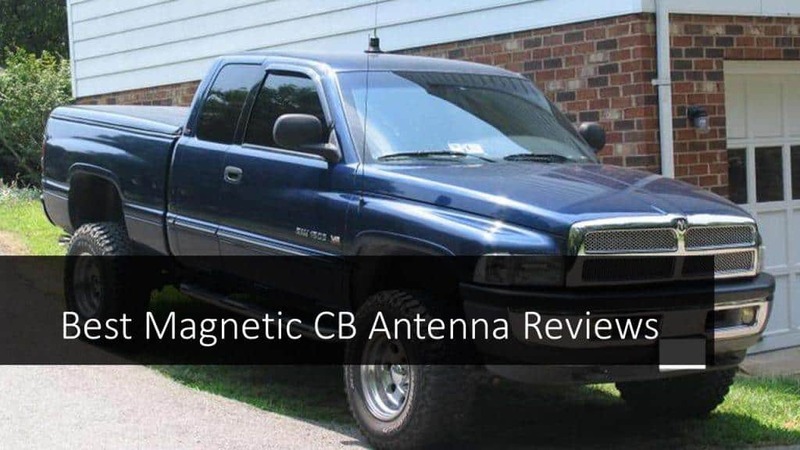 This article will help you find the best magnetic CB antenna for powerful performance for your CB radio. I believe you already know what makes a magnet mount CB antenna a superstar in the market: They don’t take a toll of your time. Yeah, they are very easy to install. But most importantly, they give outstanding reception. As the name suggests, these antennas depend on a metallic surface for setup. 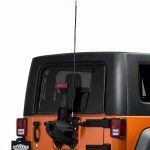 If you have a truck or if you are a fan of off road driving, you don’t have to think twice in choosing a magnetic antenna for your CB radio. Just like any industry, it often gets difficult to choose the ÓNE’ that can make wonders for you. In the case of magnet mount CB antennas, it is not just the luxury of lot of products, but the compatibility factor also plays a crucial rule. You should not end up with a CB antenna that can’t be used with your CB radio. But, you don’t have to worry. We CB Radio Guru are here to help you in all these aspects. Let’s start with the most important question first! 1 What Makes a Magnet Mount CB Antenna Great? 3 Conclusion: Did You get the Best Magnet Mount CB Antenna? What Makes a Magnet Mount CB Antenna Great? Although I have shared some of the key advantages of having a magnetic CB antenna above, I want you to have a thorough understanding on it. Choosing the antenna is a crucial step to ensure excellent performance of your CB radio. Well, these antennas resolve two key issues you normally face- 1. installation problems and 2. range issues. Let us see how they do it! I don’t have to tell you that mounting the CB antenna on your vehicle is a Herculean task. But with a nice magnetic CB antenna, it will never be so. You can just place it on your vehicle and you’re good to go. In the case of magnet CB antenna, it is the base portion that needs to be placed on the vehicle. But one major thing to focus is that the magnet should be strong enough to hold on. The magnet should be strong enough to exhibit durability against challenges. If you’re a off road driver, ensure that the antenna stays affixed even if your car undergoes extensive jerks. We all love to get the best out of our CB set up. Magnetic antennas give you good range, compared to normal stock antennas. The range is a top-notch feature to investigate for any kind of antenna and that’s the sole reason why you’re going for an external antenna. Almost all the top CB brands produce magnetic antennas to enhance CB radios’ performance. With one of the below-listed antenna, you can inevitably enjoy quality reception while drifting on risky steeps roads. 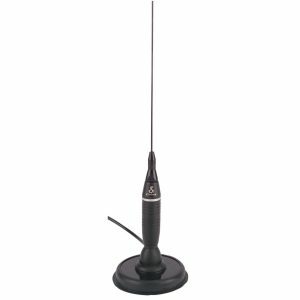 We have selected some of the best magnetic antennas for CB radios for you. These are destined to give you uncompromised performance. With a power handling capability for AM up to 300 watts, this one gives excellent performance. It is a 35” antenna from K40 which has 17-7 stainless steel whip. The magnet is strong and durable. The reason is that it is pre-wired RG-58AU with 95% shielded coax cable. It’s massively 15-feet long and is stranded to avoid breaking it up. This means you can easily cruise in your car on coarse bumpy roads and nothing will happen. The cable comes with PL259 connector. It’s also got radius 180 degrees tip. The antenna displays incredible performance with its strong magnet. The overwhelming strength of this CB antenna comes in handy for frustrating rides. Expose your car to massive jerks and this would still stand tall. However, the product may require SWR meter for getting a good reading. The sharpened base can leave a scratch on the vehicle’s surface. Nevertheless, the antenna provides good experience in less budget. This magnetic CB antenna is 36 inches tall and it incorporates Base-Load Medium Magnet Mount system. The antenna has power handling capability of about 300 watts. It provides an excellent frequency range of about 26-30 MHz. The greatest aspect about this antenna is that it is weather channel capable. The connector that comes along with it is SO 239. The hardware crafted for this antenna is black stainless-steel whip. This ensures better endurance in difficult environments. Cobra’s CBRHGA1500 comes with 10 feet cable for ease of installation. This CB equipment does not require any external grip as it is magnet mount. You can wild-accelerate your black jeep’s speed without letting it displace. It is asserted by many that this antenna would provide you great SWR without prior adjustments. This ‘excellent reception’ provider Cobra never lets you lose signals. The transmission and reception signals are structured perfectly for clarity. On the addition, the antenna from outside is smart and dandy-looking. If you’re looking for top class features in your antenna, this is the best option for you. Wilson is one of the prestigious brands for CB equipment. It produces top quality products that are well-received by the consumers. So is this magnet mount antenna. Wilson 305-38 impresses the CB enthusiasts with a compact design and incredible strength. The power handling capability of this sleek antenna is around 300 watts. It is secured with large 10 ounces magnet enhancing the durability. It gives birth to antenna’s resilience, withstanding any form of interceptions and beatings. 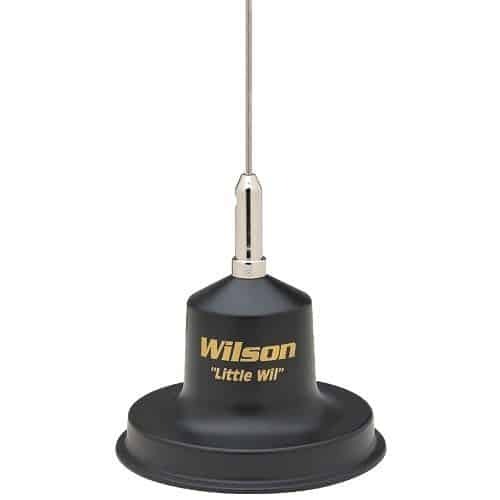 Wilson’s 305-38 offers 36” 17-7 stainless steel whip. It reflects outstanding performance providing good range. The antenna is built on high-impact thermoplastic with coils designed for lower loss. The coil having 14-Gauge Copper wire affirms clarity in your CB communication. You can listen to your peers’ messages, buzzing in your car. Thankfully, it wouldn’t interfere with noise and static anymore. The manufacturers have favored aerodynamics design to assure antenna’s endurance. This protects the antenna from thrashing away against wild weather and winds. Overall, the product lightens up the user-experience with a budget price and powerful system. The other great and important feature about this antenna is rubber cover for the base. This prevents the antenna to scrap back your vehicle’s paint. Altogether, this is a great CB antenna you can buy. Most importantly, this is the best rated magnetic CB antenna in the market. If you buy this, you will be one of those happy customers. Midland has been maintaining a good reputation in CB industry with top class products. This magnetic antenna from Midland is perfect if you’re searching for portability. Moreover, it is the most affordable magnetic mount CB antenna you can buy. Midland 18-2442 is a Center Load Magnetic Antenna. It is manufactured as a 17-7 stainless steel whip. This structure helps the antenna to bear the burdens of tough surroundings. One of the key fact about this antenna is that its magnetic base is plastic-coated. It comes in handy in situations capable of corroding it. The rust-insensitive antenna comes pre-wired with its cable and connector. 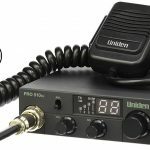 Ideally compatible with all Mobile CB radios produced by Midland brand. The spring affixed to it works as a miracle in jarring muddy roads. It helps the antenna to be in its best shape in all kinds of displeasing ‘road situations’. 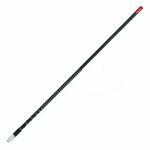 Midland 18-2442 is one of the top-rated magnetic antennae. Apart from the cheap price tag, most of the people love using it. We have seen most of the happy customers recommending it to their peers. This is the best one if you’re looking for a CB antenna for occasional uses. Conclusion: Did You get the Best Magnet Mount CB Antenna? You should consider expert consumers’ reviews to second-guess or confirm your Wishlist. This will help you in getting applaudable experience. 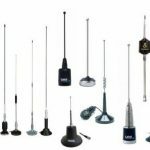 We hope this guide and reviews on top rated magnet mount CB antennas will help you find a good one for your need.